of Latin Americans experience workplace abuse and exploitation. illegally paid below the National Minimum Wage, 10 times higher than average rate for the UK population (1.1%). New research highlights that the Latin American community in London has increased significantly over the last decade and although comparable in size to other large migrant and ethnic groups in the capital its contribution and needs have largely been ignored. No Longer Invisible is the most comprehensive research to date of this largely overlooked community and was commissioned by charities Trust for London and the Latin American Women’s Rights Service. Produced by Queen Mary, University of London the report establishes the first robust estimate of the size of the community and explores a number of key economic and social features of the Latin American community in London. The size of the Latin American community in London is estimated to be 113,500 and it has grown nearly four-fold since the 2001 census (the UK figure is estimated to be 186,500). This means that Latin Americans now represent a significant part of the city’s total population. Their numbers compare in size to other large migrant and ethnic groups, such as the Polish-born population, which comprises around 122,000. The largest national group are Brazilians followed by Colombians. There are also large numbers of Ecuadorians, Bolivians and Peruvians. It is a largely young and well educated population which has very high employment rates (85%). 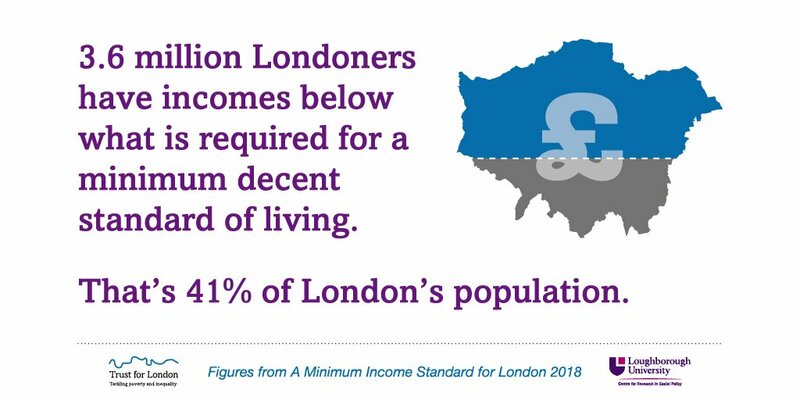 Although employed in all spheres of London’s labour market the majority are unable to fully utilise their professional skills. More than half are employed in low-skilled and low-paid jobs in cleaning, catering and hospitality services, despite previous careers such as teaching, accountancy, engineering and social work. Over 40% of Latin Americans experience workplace abuse and exploitation. Shockingly 11% of Latin American workers are illegally paid below the National Minimum Wage, which is 10 times higher than the average rate for the UK population (1.1%). Despite lower than average incomes, take-up of public services and state benefits is low: 1 in 5 Latin Americans have never been to a GP, 6 out of 10 have never been to a dentist in the UK and only 1 in 5 receive some form of state welfare benefit (which are primarily in-work benefits such as tax credits). The majority of Latin Americans (70%), including the second generation who are fluent in English, perceive discrimination to be a major barrier to improving their quality of life.